It might be hard to believe, but today Google turns 20. Although the Google.com domain was registered on September 15, 1997, and the company was incorporated on September 4, 1998, Google has declared its official birthday as September 27, 1998 (you can read more about that here). In twenty years, Google has gone from an unconventional research project two Stanford students started to one of the most successful companies in human history. The company has introduced products that literally changed the way people interact. We’ve compiled the 20 biggest milestones in Google’s 20-year history to help celebrate the big day. Happy birthday, Google! The fundamental product of Google is the search engine that started it all. Internet search engines existed well before Google came around, but what made Google different was how it ranked search results. Unlike other search engines which relied mostly on keywords, Google ranked using backlinks, the number of pages linking to any particular web page’s content. The precursor to Google Search launched quietly on Stanford University servers as the poorly named “BackRub” in 1996. Two years later, as its creators started to see how accurate and superior their search algorithm was becoming, the product was renamed Google (after the mathematical term “googol”) and its creators started looking for funding. In 1998, Google was officially online but still run and maintained by its creators Larry Page and Sergey Brin. The two were going to the Burning Man festival in August and would thus both be away from Google. To let users know Google would be unmanned for a time, Page and Brin put the Burning Man logo behind the second “O” in Google on the Google homepage. This was officially the first Google Doodle, and since then thousands more have commemorated holidays, people, achievements, and even Google itself. The Google Doodle is now a major aspect of Google’s brand. It helped cement the Google.com domain as a place people should visit every day. By 1999, Google was just starting to stand on its own legs after some angel investor funding. However, Page and Brin decided it might be a good idea to sell Google’s algorithm and branding to an already-established search engine, as the two were starting to feel a little overwhelmed. Page and Brin went to one of the leading search engines of the day, Excite, and offered Google up for a now-hilarious $750,000. Unfortunately, Excite didn’t see the potential of Google and turned down the offer, saying $750,000 was an overestimate of the company’s value. Google’s market cap is currently around $825 billion. While this might seem more like a silly anecdote than a milestone, it kept Page and Brin in charge of Google’s fate. Had that not been the case, who knows what would have happened. With Google getting more and more successful (and Excite turning down its buyout offer), it seemed time to start making some real money. In 2000, Google launched Google AdWords which offered advertisers a way to promote their products and services within Google. At first, advertisers paid a simple monthly fee for this service. Eventually, Google AdWords would become a money-making machine for Google. Today, it earns roughly 86 percent of its total revenue from AdWords and its related advertising tools. This might seem like a small thing, but it was actually the first time someone used the word Google as a verb in something as prominent as a TV show. Later, the use of Google as a verb caused issues with the company, as it felt the spelling and usage of the term were getting out of hand. You can read this article in The Washington Post to learn about just how specific Google is when it comes to using its trademarked name to reference anything but its own trademarked products. In 2002, Google was making about $240 million per year. That’s certainly a lot of money, especially considering its search algorithm was only about five years old. But it wasn’t much money compared to Yahoo’s revenue at the time: the search giant was pulling in about $837 million per year. Seeing Google as a good company to purchase to strengthen its product, Yahoo made Page and Brin an offer of $3 billion. Page and Brin turned down the offer cold and said that they wouldn’t sell for less than $5 billion. Yahoo balked and moved on. This was a huge moment for Google. It had gone from a asking to be bought for less than $1 million to turning down billion-dollar offers in just three short years. As the money poured on in, Page and Brin needed to expand. The Google team was spread out across several offices in the San Francisco area and needed to be more centralized. Google leased a complex of buildings at 1600 Amphitheatre Parkway in Mountain View, CA. It jokingly is monikered the Googleplex, and remains the company’s global headquarters to this day. A Google employee by the name of Paul Buchheit started working on an email service idea secretly, under the code name “Caribou.” Even many of Google’s prominent engineers didn’t know what he was doing. Eventually, Google’s staff started using Buccheit’s email service internally, known as Gmail. In 2004, Google released a public beta of Gmail. The service stayed in beta status for over five years before finally going officially stable On July 7, 2009. Today, Gmail is the world’s most popular email service, used by over 1.4 billion people. In August of 2004, Google moved to the public sector, getting a listing on the stock exchange. It started at $85 per share and raised $1.9 billion. Today, Google stock trades at about $1,200 per share and the company has a market cap of $825 billion. By going public, Google had to appease stockholders, which can dramatically change how a business functions. However, even as Google continued to be a money-making machine, it still took time to develop wild, “moonshot” products. By 2005, Google had already significantly disrupted two major industries: internet search and internet email. The next industry Google decided needed an overhaul was the paid GPS navigation market. It did so with a little thing called Google Maps. Using Google Maps, users could see detailed satellite imagery, street maps, and obtain navigation directions. Its companion service, Google Earth, let people see the world as a whole or zoom in to any place they liked. It was totally free. Google Maps is one of the most popular applications for smartphones, with a majority of users saying they’ve used it at least once. In 2004, a “wardrobe malfunction” at the Super Bowl inspired a small team of developers to create a site where people could easily share video content. The team named the site YouTube, and in a few years it was receiving 8 million views every day. In 2006, Google bought YouTube for $1.65 billion in Google stock. Although Google had acquired many companies before, this marked the company’s largest acquisition. The purchase paid dividends. YouTube is now the second-most visited website on the internet, behind only — you guessed it — Google itself. In May of 2017, Morgan Stanley valued YouTube at about $160 billion, roughly 100 times what Google paid for it. In 2005 and 2006, Google acquired two small companies. One of the companies created a web-based word processor and the other a web-based tool for creating and sharing spreadsheets. In the summer of 2006, Google launched the programs for a limited number of users on a first-come, first-served basis. Eventually, the programs opened up to anyone as the Google Docs suite. Now, Google Docs is a viable, completely free replacement for other document services like Microsoft Office, made even more powerful with its heavy integration with Google Drive. In 2003, a small team of developers created the Android operating system with the intention of integrating it into digital camera systems. In 2005, Google acquired the company for a rumored $50 million and started to apply the program to mobile phones. The 2008 launch of the HTC Dream (aka the T-Mobile G1) brought Android to the mobile scene. Just a few years later it became the world’s most popular mobile operating system. Obviously, this is the most important event in Google’s history for us here at Android Authority, but it’s also objectively one of the most important products in Google’s arsenal. At a purchase price of $50 million, Android was easily the most profitable decision the company ever made and will continue to solidify Google as a global powerhouse for years to come. September of 2008 was a busy month for Google. Not only did the first Android device hit the market but Google also launched what would become the dominant web browser worldwide: Google Chrome. In the beginning, the major aspect of Chrome that separated it from its competitors was the Omnibar, which mashed the address bar and search bar all up into one. A clean interface, constant updates, and future innovative features helped cement Chrome as an indispensable product and the industry standard for browsing. When Google launched the Chrome browser, the company was ten years old and had a market cap of around $150 billion. In 2009, Google was the dominant search engine, with 65 percent market share in the U.S. Around this time, it hit one of its biggest milestones yet: one billion search queries in one day. Today, Google processes about 40,000 search queries every second, or about 3.5 billion searches per day. That’s 1.2 trillion searches per year. In January of 2010, Google launched the Nexus One, a smartphone created in a partnership with HTC. The device launched with Android 2.1 Eclair, and later became the first device to get Android 2.2 Froyo. A video comparison between all the Nexus smartphones made to date shows how far Nexus performance has come, but also reveals the improvements and optimizations in Android from Nexus One to Nexus 5. The Nexus One was Google’s first attempt at releasing a Google-branded smartphone, and the Nexus line continued all the way to 2015’s Nexus 6P, made by Huawei. The Nexus line was abandoned after the Nexus 6P, as Google shifted focus to its Pixel line of smartphones, but its still where the company’s hardware ambitions started. When Android launched with the HTC Dream in 2008, the Android Market was where you downloaded apps to your smartphone. As Android expanded and Google’s presence on smartphones got bigger and bigger, it became apparent that an online store with the word “Android” in it was too limiting. Thus, four years later in 2012, Google brought together the Android Market with two of its other products: Google Music and the Google eBookstore. The new combined entity was called Google Play. Today, the service encompasses almost all forms of electronic media, including games, movies, television, apps, music, magazines, news, and more. In 2017 alone, Google Play made Google over $20 billion. Prior to 2012, Google had made headlines for a few different so-called “moonshot” programs. One of those was a self-driving vehicle, which eventually spun off into its own distinct company called Waymo. No Google moonshot product made quite as many waves as Google Glass, the wearable heads-up display eyewear. Announced via a skydiving stunt at Google I/O 2012, Glass was immediately seen as a glimpse into the future. However, many people were very uncomfortable with that future, with privacy being one of the main concerns. Looking back, it’s easy to see how Glass was too much, too soon — even for Google. Nevertheless, Glass was a signature development from a company constantly trying to push technology forward. Three years after Google launched Google Glass, the company restructured itself. 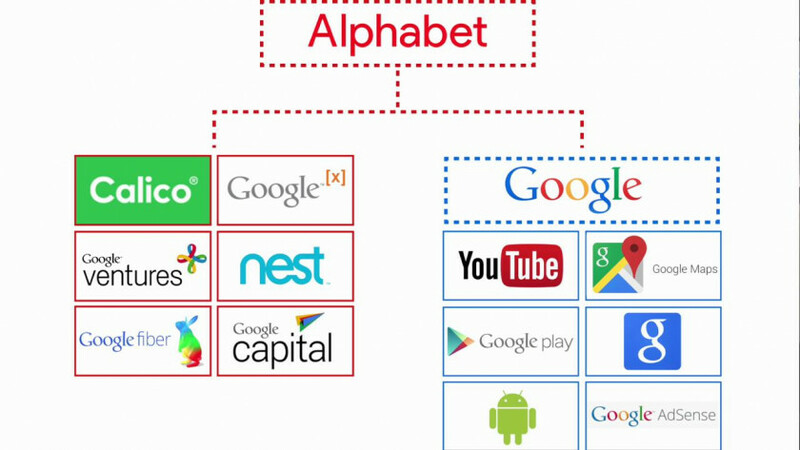 Now, a new company called Alphabet would act as a parent company to Google, with the other “moonshot” programs existing next to Google under the same umbrella. This corporate restructuring didn’t change much for the end user, but it helped to appease shareholders who wanted a better idea of what Google’s financial position was without the moonshot programs after the controversy surrounding Google Glass. 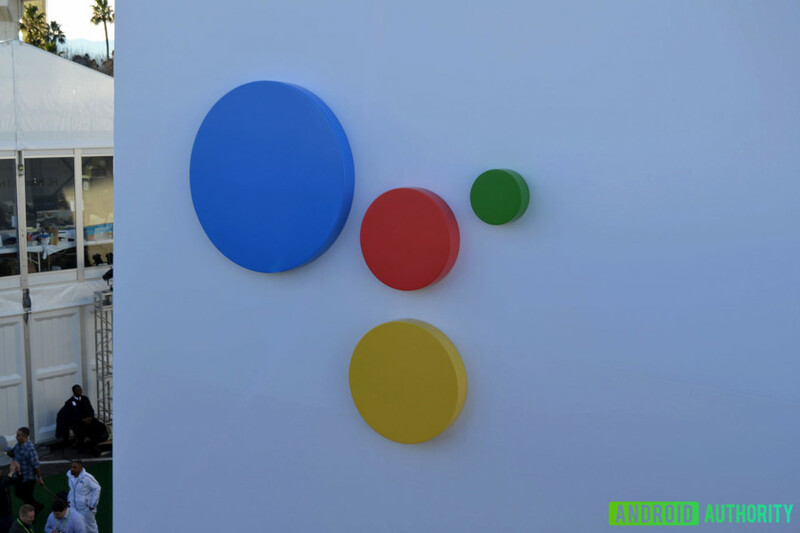 Two major things happened in 2016: Google launched its artificial intelligence program Google Assistant and incorporated it into its new Google Home line of smart speakers, as well as its new smartphone the Google Pixel. Using the hotword “Ok, Google,” users could activate Google Assistant to answer simple questions or perform basic tasks. The search algorithm Page and Brin created at Stanford in 1998 now had a name and a voice (and even a body, if you consider a smart speaker a physical form). Google shows no signs of slowing down. It’s very possible the company will last another twenty years and even then still be the dominant force it is today. What do you think the next twenty years hold for Google? What was your favorite moment from the past twenty? Sound off in the comments! Once again: Happy birthday, Google! Previous articlePocophone F1 vs OnePlus 6: Can Pocophone steal the crown?